This comedy film features a couple who has a young daughter. They miss the lifestyle they used to have before they had the baby. In turn, they have little communication with their friend and his ex-wife. One day, the couple finds that a fraternity has moved next door. Two of the leaders want to throw a large party at the end of the school year. The couple doesn’t have a problem with the party, but they want the noise level kept to a minimum while the men who are in charge don’t want the couple calling the police. The men and their girlfriends become fast friends, with each showing the other neighbor their home. During the party, the noise escalates and the couple call the police. 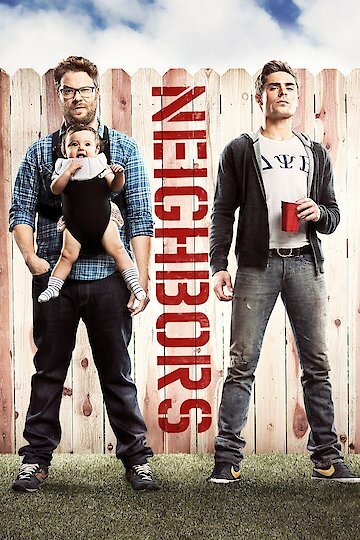 Neighbors is currently available to watch free on FOX, Viki and stream, download, buy on demand at FX+, Amazon, Vudu, Google Play, FandangoNow, iTunes, YouTube VOD online.